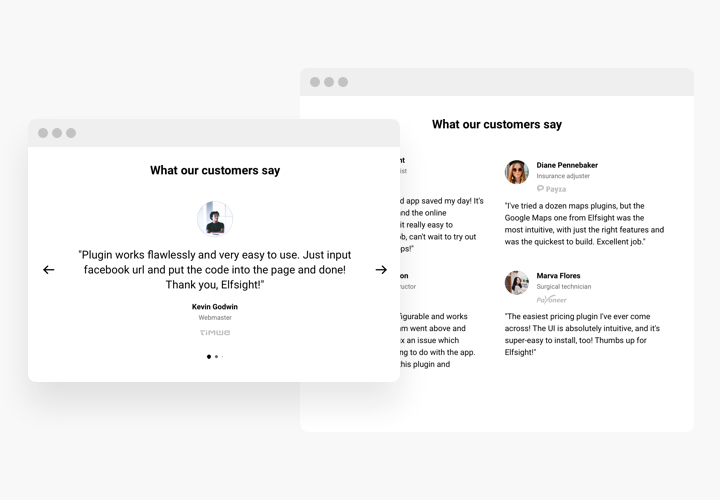 Testimonials slider is a simple plugin for demonstrating feedback of your clients on your own site. 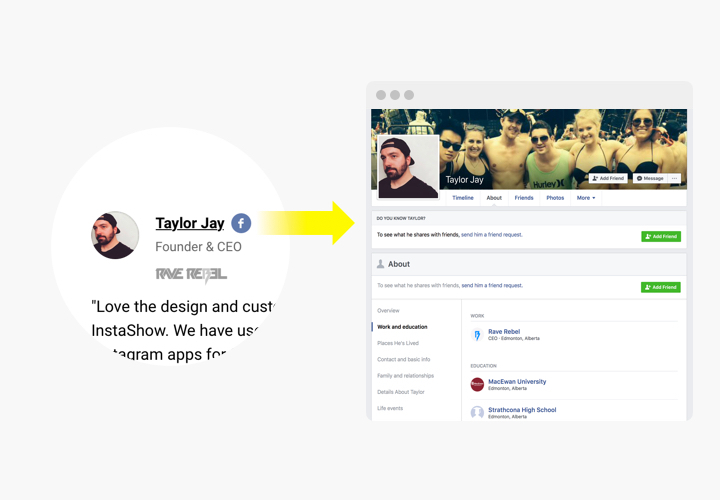 You are free to use different types of social proof to make the reviews trustworthy: author’s name, photo, logo of the business, and even a link to the website.Level up confidence in your products by demonstrating your satisfied customers. Increase your conversion up to 200%. 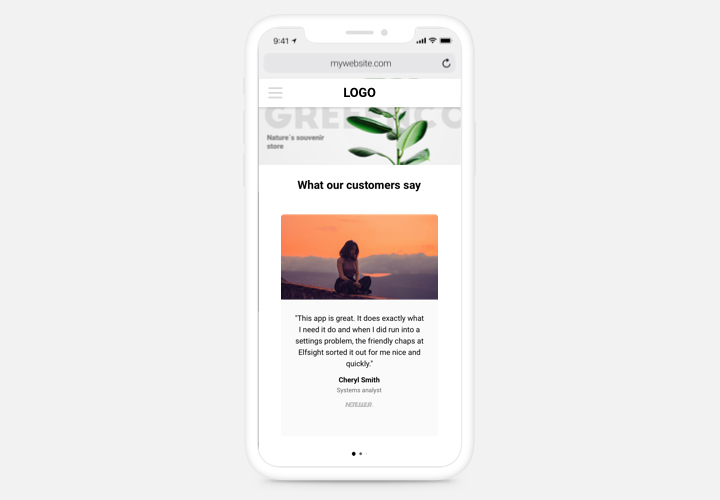 Show real feedback and make it the main point of your message to customers. Revealing the reviews right where clients make their decision about buying from your service or registration on your website. Loyalty of your visitors. One of your users left a really convincing feedback about your business? Get the maximum use of it and reveal your gratefulness, showing it on the website. Additional social proof. A link from feedback to Facebook, Google or the author’s site is a detail, which will contribute to higher credibility and confirm your business is trusted by real people. 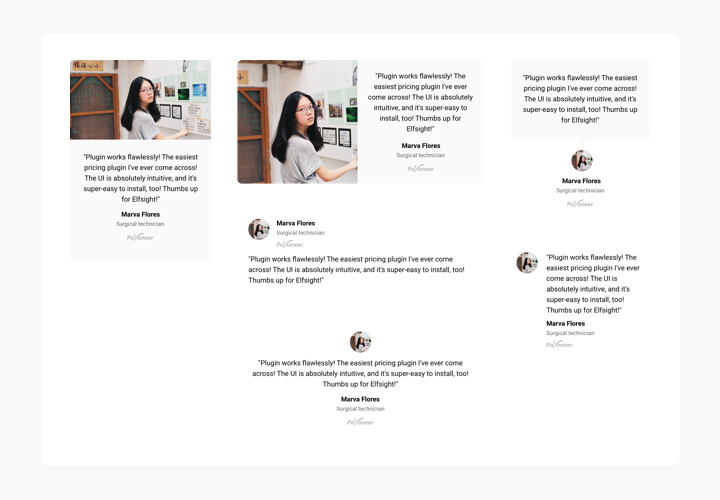 The most valuable features, which make our customer Testimonials Slider the best plugin for any WordPress website. Choose Slider or Grid layout depending on your needs. Our plugin is uncomplicated in terms of setup and doesn’t require any knowledge in web-developing. Accomplishing of the tutorial will only take 1 minute. Get and install a plugin. On the plugin page, choose «Add to Cart», to acquire the plugin. Next, enter the admin panel of your WordPress site and on «Plugins» tab, embed the plugin. Construct your unique plugin. Choose parameters of Testimonials Slider and get the code to publish the plugin on the website. Add the code to the website. Choose the page where to set the widget and add the plugin code there. Publish all the edits. You successfully accomplished the installation! Visit website to see your plugin! 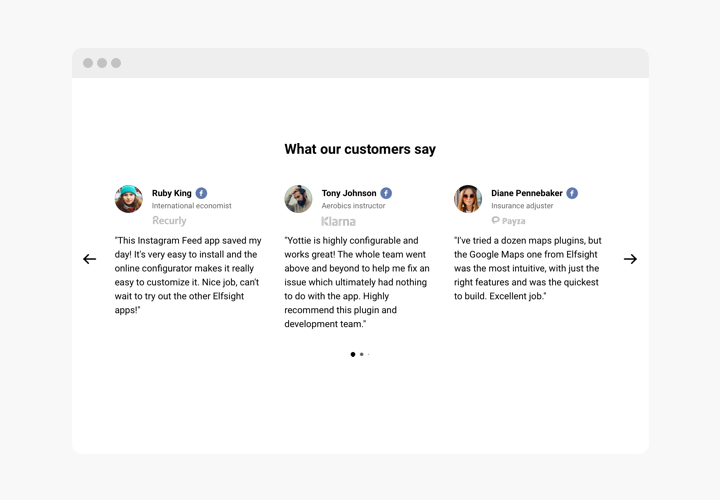 Encounter any difficulties while adding or adjusting customer testimonials? 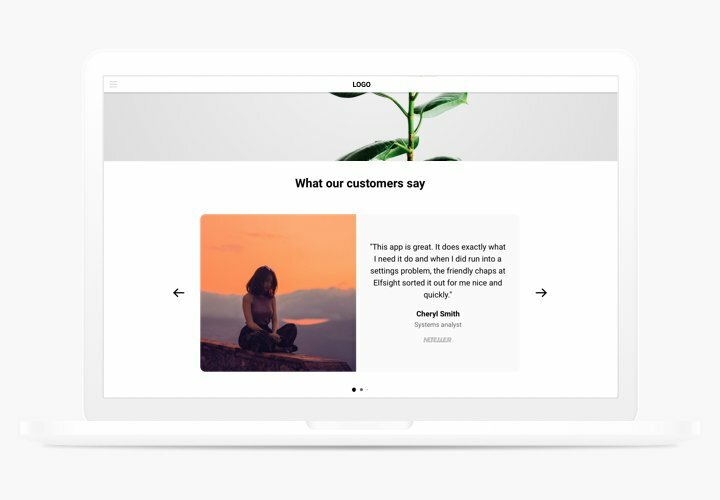 Check a detailed tutorial on How to add Testimonials Slider plugin to WordPress or address our Support Center.